More than four in 10 family caregivers spend $5,000 or more annually on caregiving, according to a new Caring.com survey of 2,767 family caregivers. Close to half rely on family funds to cover costs. And with nearly 40% of respondents also spending more than 30 hours per week on caregiving, caring for a loved one has become a full-time, unpaid job for many — one that leaves little time for a caregiver to plan for their own financial future. “Quite often caregivers find themselves dipping into their own pockets to pay for caregiving expenses,” said Tim Sullivan, Vice President at Caring.com. “Without a plan in place, savings can be depleted and retirement delayed. It’s so important to make the time to speak with your loved ones about finances, eldercare and planning for the future,” Sullivan added. Caregivers who seek to educate themselves about their options can avoid the unnecessary stress of common financial mistakes. This guide can help you discover the tax advantages, professional services and investment strategies that can lessen caregiving-related financial strain. Managing your own money isn’t easy under the best of circumstances, so it’s not surprising that most people feel overwhelmed when it’s time to step in and take over the management of their parents’ finances. The first step is to accept that you won’t know what kind of shape their finances are in until you ask. Money is always a sticky topic, especially for adults who are beginning to lose their independence, so it is best to approach the discussion fully prepared to ask the right questions. Finding answers to the following questions will put you on the path to becoming a more confident, and more capable guardian of your loved ones’ financial future. The durable power of attorney (DPOA) is considered one of the most important personal legal documents for any older adult to have. Along with a healthcare proxy, it will give whomever your parent designates — whether it be you, one of your siblings or someone else — the power to make financial and legal decisions (or, in the case of a healthcare proxy, to make medical decisions) if your parent is incapacitated. Without a durable power of attorney in place, you’ll have to go to court to get appointed as your parent’s guardian. That’s the last thing you’ll want to have to think about in a time of crisis, and it’s a notoriously complicated and messy legal process. With a durable power of attorney and healthcare proxy in place, you can seamlessly make decisions and access accounts on your parent’s behalf without getting the courts involved. 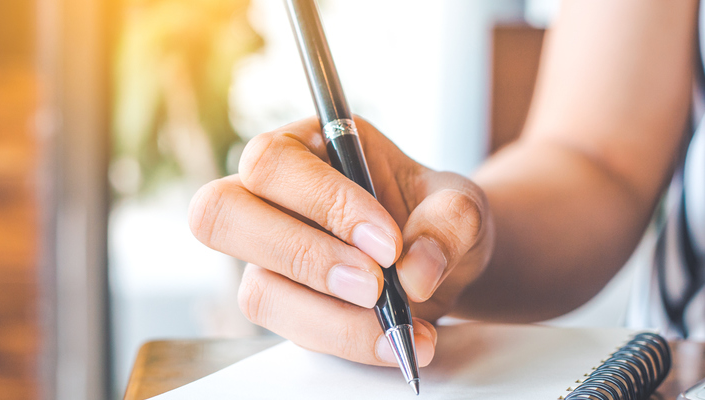 Many people never take another look at their insurance policies or investment account beneficiary designations after they sign the initial papers, but both should be reviewed every year. Beneficiary designations — of who will receive the proceeds from an account if the policy or account holder dies — can be affected by any change in family circumstance, like the birth of a new child, a death or a divorce. A yearly financial and insurance review also provides a good moment for your parent to review his asset allocation and evaluate whether he has enough, or too much life insurance. If, for example, his children are grown and his spouse has other funds on which to live after he’s gone, your parent could think about cutting back on the amount of life insurance he carries to save money on annual premiums. Even if your parent is in good health today, eventually, he’ll likely need some type of long-term care — and the costs are staggering. A year in a nursing home costs more than $50,000 on average, and much more in some states. Usually, neither health insurance nor Medicare cover any of these expenses, so your parent should have some type of plan in place to pay for such care should it be needed. Long-term care insurance is a good option and can be added to existing life insurance policies, possibly at a discounted rate. Medicaid also covers some nursing home costs, but your parent should consult an elder-law attorney now to find out if he qualifies for Medicaid. If not, the attorney may advise spending down assets – literally, the process of spending money without gifting or transferring assets until your parent meets the strict income requirements necessary to qualify for Medicaid. Without a plan in place to pay for long-term care, you and your siblings will be on the hook to pick up the cost unless your parent has very deep pockets. If your parent has a stroke or heart attack, the last thing you’re going to want to worry about is what his Social Security number is, what health insurance he has or whether the mortgage has been paid. That’s why it’s important to sit down with him before a crisis hits and find out what kind of bill-paying system he has in place, what insurance he has and where all his important papers are located. Although some may balk at sharing this kind of personal information, reassure him that you don’t have to see any of his private papers now; you only need to know where they are to ensure his financial well-being in the event that he’s not able to take care of it himself. As is the case with any large project, what feels impossibly complex taken as a whole becomes much more manageable when broken into parts. So, let’s start at the beginning, and separate the process of managing your parents’ finances into sequential steps. By taking this simple approach, all you have to do is put one foot in front of the other and you’re on your way. Your first responsibility as your parents’ financial manager is to do some sleuthing. If your parents are competent to discuss their finances, get a head start by asking them the five basic financial questions listed above. Then start going through files; you want a clear picture of every asset they have. Start with savings and checking accounts, retirement accounts, investment accounts and pensions. But that’s just the beginning — you’ll also want to locate the paperwork for your parents’ home mortgage and any other real estate holdings, and the account statements for their credit cards. You should find out about every insurance policy your parents have taken out, including life insurance, annuities and long-term care insurance. Discuss where they store valuables, and whether they have one or more safety deposit boxes. And don’t forget to ask your parents if they’ve ever purchased or inherited any individual company stocks. You’d be surprised how many seniors have original stock certificates squirreled away. If you’ve been designated to help your parents with their money and assets, you may already have been granted legal power of attorney for finance management. If not, you’ll want to get this taken care of. Having power of attorney allows you to access your parents’ financial records so you can act on their behalf, see account statements, pay bills, deposit and withdraw money, and more. You’ll need it to research account balances, transfer funds, pay bills, write checks, make withdrawals and open safe deposit boxes. In other words, with powers of attorney, you can take care of your new responsibilities, and without it your hands are at least partially tied. In a worst-case scenario, you may need to take control of the finances of a parent who no longer has the mental capacity to give consent. In this case, your parent would be considered a vulnerable adult. You would have to go to civil court to obtain legal guardianship (also called conservatorship) in order to take responsibility for their finances, which, for obvious reasons, is not a simple process. In addition to power of attorney, or sometimes in place of it, banks and financial institutions often have their own forms that establish access to your parents’ accounts. Once your parent signs these forms (she may or may not need to be present, depending on the institution’s rules), you can write checks, make payments and withdrawals, check balances, and do all the other things an account holder does. The first and most important of your parents’ debts is, of course, the mortgage on their home. How much do they still owe? Down the line, it may become important to understand how much equity your parents have in their home, in which case you’ll want to have the home appraised so you can compare the appraisal to the amount still due on the mortgage. Next check if there is an equity line of credit on the house, or any other debt attached to the house. If your parents have taken out a reverse mortgage, it’s especially important to understand the terms. You’ll also want to make sure you have all the information you need about your parents’ credit cards and any other outstanding debts. Follow up thoroughly on any creditors’ notices you find in the mail, such as bills that have gone to a collection agency. Because it may be hard for your parents to talk about credit card and other debts, it may be best to contact the companies directly to find out what is owed. Next, you’ll want to perform more in-depth research into the terms of insurance policies, loans and other financial vehicles such as annuities. Do the terms of insurance policies make sense for your loved one’s current situation? In many cases, the terms and costs of life insurance policies no longer make sense for this phase of your parent’s life, and your parent is paying too much for benefits she no longer needs. You might be surprised at the number of older adults who one day no longer remember to pay their income or property taxes. And those mistakes can cost you dearly in penalties. In fact, with too many years of unpaid property taxes, a house can end up on the auction block. Look for tax returns from the last few years and if you don’t find them, call the IRS. Your local assessor’s office should have your parent’s property taxes on file. If your parents have money invested in mutual funds, stocks or other investment vehicles, now is the time to take a look at the investment strategy being employed and make sure it best suits their needs at this time of life. Since your parent is no longer saving for a distant future and may need that money soon, what this typically means is moving money from riskier investments with longer return horizons, such as stocks, into more conservative investments, such as bonds. Your investment goal: to make sure the money is there when they need it. You could say that this is the goal for everything you do in managing your parent’s finances. By following these 8 steps, you will make that goal a reality. For caregivers who don’t have the benefit of professional help with their parents’ estate, the high complexity of asset management can mean running into avoidable mistakes and financial losses more costly than the services of an asset manager. With just a little preparation, you can take a lot of the uncertainty out of your financial planning by finding the right advisor for you. Answering the following questions will help to guide your search, and show you how to hire a trusted asset manager who understands your needs. What relevant experience does the financial planner have? Financial planners come from all sorts of financial career paths. They can be certified public accountants, stockbrokers, mortgage brokers and insurance salespeople, to name a few. It’s important to know what your advisor’s background is — along with her professional accreditation and length of experience as a financial advisor — to gauge how accurate her advice may be. It’s also helpful to choose a financial planner who has at least some experience working in their role through both market corrections and bull markets, and can more dependably advise clients through both market conditions. Finally, it’s crucial to make sure your prospective advisor doesn’t have any disciplinary actions on her record. An easy way to do this is to check with the Certified Financial Planners Board of Standards hotline (888-237-6275). If she’s selling stocks or securities, you can also check her disciplinary record with the National Association of Securities Dealers (800-289-9999). Any financial planner you’re considering should happily offer a list of referrals, including several long-term clients. The latter are especially important to contact because they can give you a sense of how your advisor performs under different market conditions. A referral list consisting only of new clients may be a red flag. If a financial planner is involved in any kind of unethical conduct, she would be unlikely to make long-term clients available to talk to potential customers. Of course, possibly the best way to find a financial planner is through personal referral from someone you know and trust. Does the financial planner really listen to you and your parents? For anyone, but especially for people facing retirement and an uncertain financial future, laying out the details of their financial existence to a relative stranger can be daunting. Although your parents should keep the specific details of their finances to themselves during the interview process, when they choose a financial planner to work with, they’ll need to feel comfortable opening up. Many of the long-term financial planning issues they face are uncomfortable for most people to think about, much less to discuss with a stranger — long-term care, nursing home costs, and even end-of-life care and expenses. 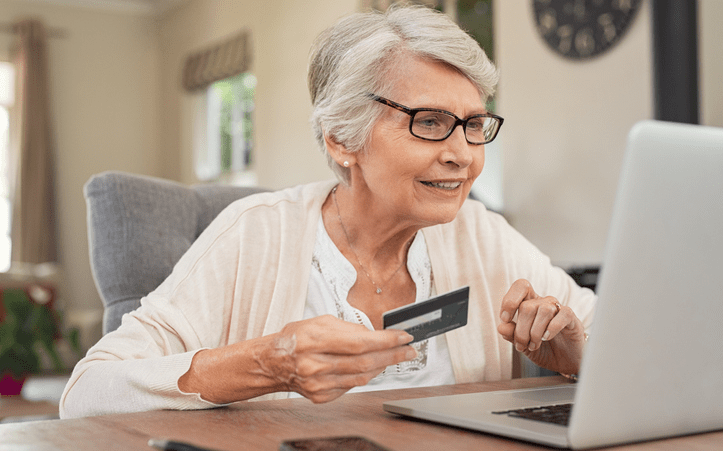 Many older adults also may not be familiar with current financial strategies or products, and for that reason may find the whole experience intimidating. But a good financial planner who’s experienced with elder issues can provide invaluable advice about everything from asset management to housing decisions, estate planning and what kind of long-term care your parents can afford, among many other issues. For the relationship to succeed, though, your parents will have to open up and provide a complete picture of their financial situation, including assets, debts and current expenses, as well as lifestyle expectations for the next 10 or 20 years. This can be a difficult process, especially for those who are protective of their privacy and independence. But if the financial planner you choose is empathetic, attentive and sensitive to your parents’ needs, it can help make the process of addressing their financial future much less intimidating. What about a scenario where one’s aging parents do not want to discuss their finances with their adult children? How will your parents pay for these services? It’s important to know up-front how the financial planner you’re considering earns her salary. Some are paid on commission — usually a percentage of the amount the client invests — deducted monthly or quarterly from the account. Others charge an hourly fee or flat rate, while some receive a salary from their company, which in turn collects commissions from products you buy. Still others make their money from some combination of fees and commissions. So-called fee-only financial advisors, or those who don’t charge commissions or make money from product sales, are often the safest bet in terms of avoiding conflicts of interest and receiving objective advice. Even certified professionals are capable of using exploitative tactics to make an extra buck. So how can family caregivers best safeguard older loved ones from financial abuse? Has the financial planner been certified by a reputable source? Make sure a reputable source has accredited the financial planner you’re considering. There are more than 54,500 certified financial planners in the United States, according to the Certified Financial Planner Board of Standards, and with so many to choose from you’ll find a huge range in quality among the advisors in your area. Accreditations don’t guarantee a successful relationship, but they do give you an indication as to whether your financial planner has stayed abreast of developments in the financial planning world. It can be difficult to keep all the acronyms and abbreviations straight, but if you see letters after the name of the planner you’re interviewing, perform an online search to find out what they mean and how many hours of continuing education she needed to get them. For example, to qualify as a NAPFA (National Association of Personal Finance) registered financial advisor, your planner must complete 60 hours of continuing education every two years, while the Financial Planning Association doesn’t require any continuing education at all. 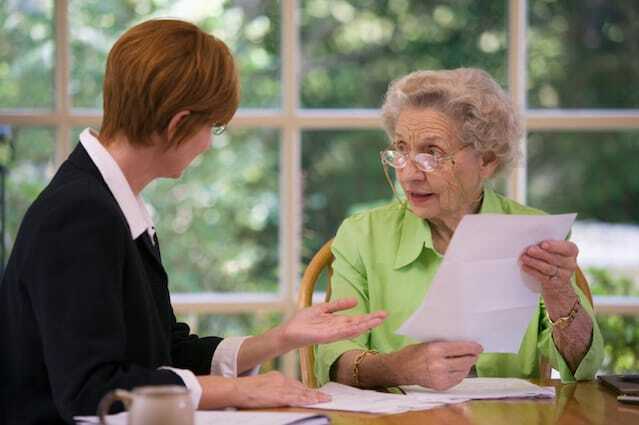 Most financial advisor associations offer an elder care certification, such as Certified Senior Advisor, for individuals who’ve completed special training dealing with the specific financial issues and concerns of senior citizens, so find out if the planner you’re considering has such an affiliation. Make sure that the financial planner you meet at the initial consultation is actually the person who’ll be handling your parents’ account. If this isn’t the case, insist on meeting, and reviewing the qualifications of the associate who’ll be handling day-to-day tasks. Anyone with diabetes who is eligible for Medicare Part B can apply to this program. If you have diabetes, it might surprise you to know that Medicare Part B will pick up most of the tab for therapeutic shoes and inserts. The criteria are fairly simple: You must be under the care of a doctor for diabetes management and also suffering from serious foot problems, including ulcers, calluses that can lead to ulcers, nerve damage, poor circulation or deformities. The coverage is extensive; Medicare will cover 80 percent of the cost of one pair of shoes and three pairs of inserts. Once you get a prescription for therapeutic shoes, either from your doctor or from a podiatrist, the shoes will be fitted and provided by a specialist who participates in Medicare. You have to have met your Medicare yearly deductible to get this coverage, so wait until a few months into the year when you’ve paid other medical bills before pursuing it. Free transportation to and from home for appointments and activities is available for people with impaired mobility. Paratransit is the official term for transportation provided by local communities for those who can’t drive or comfortably use regular public transportation. These services vary by community, but typically it’s a door-to-door van service that’s available by appointment. The services are provided by local government agencies that receive federal funds intended to guarantee access for the disabled and elderly. To find out more about federally funded transportation options in your area, contact your local Area Agency on Aging. More transportation resources are available by searching the Department of Health and Human Services’ Eldercare Locator on the topic Transportation. These services typically require advance planning. It works best if you establish a regular weekly schedule so you don’t have to remember to call each time. Any business or nonprofit damaged in a disaster is eligible to receive up to $2 million in low-interest, long-term loans. If your business is affected by a natural disaster such as a flood or hurricane, the Small Business Administration (SBA) offers low-interest, long-term loans to help you rebuild, make repairs, restock inventory, and do whatever is necessary to get your business back in action. The loans can be used to make repairs to the property and equipment, and also to replace furnishings and inventory. You can get a larger loan to pay for improvements to your property that protect against future damage. People who are over 59 or disabled may receive free or low-cost home maintenance and moving assistance. If you’re struggling to maintain your home, it may be possible to get help with household tasks that have become difficult or impossible to perform. Many Area Agencies on Aging offer help with household chores as part of their national effort to support independent living for seniors. In Florida, for example, the Mid-Florida Area Agency on Aging covers a wide array of household chores including seasonal cleaning, yard work, and household repairs that don’t require a specialized license. They’ll sometimes even cover pest control if it’s part of overall house maintenance or send someone out to help with lifting and moving furniture, appliances, and other heavy objects. In some areas, the Area Agency on Aging charges a fee for these services, but it’s typically much less than you’d normally pay. Some programs are free but require participants to pay for the services up front, then apply for reimbursements. In many cases, the minimum age to qualify is 60. Get started by finding your local Area Agency on Aging. Applicants to this program are issued a loan or loan guarantee with which to buy a house or car, or modify an existing house or car. The Veterans’ Administration provides extensive services to veterans who have a service-related disability that prevents them from performing normal, everyday activities. However, this doesn’t mean that you had to have become disabled during service to receive the benefit. For many veterans, a mental, emotional, or physical condition that began during enlistment only becomes disabling with age. In this case, you may qualify for service-connected disability benefits once your condition becomes debilitating. A significant V.A. disability benefit comes in the form of loans and loan guarantees to help veterans buy or refinance a home or condominium. These loans can also be used to modify a home or car. For some veterans with service-connected disabilities, the V.A. also gives Specially Adapted Housing (SAH) grants, which pay for modifications to a home to adapt it to accommodate their disability. To learn whether you or your loved one are eligible for VA benefits, visit The Senior Veterans Council. If you live with family members, the grants may also be used to modify the home you’re living in or your primarily used vehicle, even if you don’t own them. The Aid and Attendance benefit is an underutilized pension bonus for veterans who have been on active duty during a time of war. Veterans who require the aid and attendance of another person to function on a regular basis, or who are housebound, may qualify. Another prerequisite is that applicants must be eligible for a military pension, which means that their discharge from the military is required to have been under any circumstances other than ‘dishonorable’. Applications for this benefit have only recently become more common as, in the past, VA customer service specialists have been poorly informed of the benefit’s existence. However, now that veterans are more routinely offered the opportunity to enroll, applications can take 9 to 12 months to process due to high volume. Interested parties should apply as far in advance as possible. Some otherwise eligible applicants for the Aid and Attendance benefit have been rejected because they applied with an outdated form. It’s very important to be sure you are using the VA’s most recent forms. The current version is called VA Form 21P-527 EZ. Also, among your application materials you’ll need a documented assessment of medical costs and an attending aide’s statement. Medical costs can be difficult to qualify, so it is advisable to seek the help of a professional when requesting this benefit. Individuals with Alzheimer’s or other forms of dementia who are covered by Medicare Part B are eligible to receive specialized services, including outpatient physical therapy, speech therapy and occupational therapy. For those dealing with memory loss, occupational therapy and physical therapy can be key to coping with the tasks of daily living. To qualify, your doctor must prescribe the treatment. You will also need to use a Medicare-certified therapist. Although Medicare doesn’t usually cover psychological services by non-physicians, coverage for Alzheimer’s care extends to clinical psychologists or medical social workers who are Alzheimer’s specialists, as long as they’re Medicare-certified. If you have Medicare Part C coverage, also called Medicare Advantage, you may be entitled to even more counseling or to additional services. Widows and widowers, children and other dependents of a social security recipient may be eligible to receive monthly payments based on the recipient’s work history. After a death in the family, many people fail to take advantage of money they’re entitled to receive from the Social Security Administration. Known as “survivor benefits”, these payments are made to the spouse of the deceased and any children or stepchildren under the age of 18. To qualify, the widowed spouse must be over the age of 60 or over the age of 50 and disabled. If the spouse is caring for children under the age of 16, then this age restriction doesn’t apply. And in some cases, stepchildren, grandchildren, or step grandchildren can also collect. If a child is severely disabled, he or she can collect on a parent’s social security for as long as needed. Divorce does not disqualify you, and the parents of a recipient can also collect up to one half of a deceased child’s social security payment if they were dependent on the deceased for at least half their support. For more information, go to the Social Security Administration website and scroll down to see the section titled “Benefits for your family”. People with low income and few assets other than their home may be eligible for Medicaid healthcare coverage. In-home care can consist of low-assistance healthcare maintenance tasks, but often consists primarily of assistance with activities of daily living, such as personal grooming, cooking and eating meals, and basic mobility. When Medicaid provides in-home care, it usually does so through a licensed home healthcare agency. Medicaid pays the agency, which sends its care aides to the senior’s home on scheduled visits. This arrangement works well for many, but for others, in-home care through an agency may not be sufficient. Many in-home care agencies are overextended, with high worker turnover. This can mean that in-home care visits are sometimes irregular, with visits from different caregivers who don’t know the senior’s needs and preferences. And if you (or another family member) are already providing most of the care, the occasional presence of an outsider may not be that helpful. Medicaid programs in many states offer Self-Directed Services, which provides direct payments to seniors, allowing them to allocate their Medicaid funding and direct their own care. The amount the senior receives depends on a Medicaid assessment of need and the prevailing rates for in-home care aides in that state. Seniors can use the money to pay anyone of their choosing — including certain family members — to provide care. They can also use some of the money to buy things for the home that would make life more comfortable, such as kitchen items, new appliances, accessibility devices, etc. Funding can also be allocated to pay for services like cleaning, meal delivery, or transportation. Other states have similar programs, offering cash for in-home care to seniors who have little money but whose income or assets are too high for them to qualify for Medicaid in that state. To find out whether your state Medicaid program offers a consumer-directed cash assistance program for seniors, contact your local SHIP office. To find the nearest non-Medicaid office that handles in-home care programs, contact your nearest Area Agency on Aging and ask about direct payment programs for in-home care. The following are five strategies for claiming the tax advantages of being a primary caregiver. Doing so gives you an additional exemption for tax purposes. To qualify, you must have provided more than half of your parent’s total financial support for the year. Total support means food, lodging, medical expenses, recreation, transportation, and other essential needs funded by any party, including your parent. If your parent is living with you, remember to include the fair market value of his or her “rent” in your calculations. Also, your parent’s gross annual income has to be below $4,050 from any wages, investment income, or rental income. But that’s $4,050 in addition to Social Security benefits — Social Security isn’t counted. If your parent doesn’t have a pension and his primary income is Social Security, you may qualify. For further information, refer to Form 1040 instructions to see whether a portion of your parent’s social security benefits are counted toward gross income. For you as the caregiver, the tax savings can be significant; for tax year 2016, the exemption from taxable income for each dependent is $4,050. If you’re in the 25 percent tax bracket, that would mean you’d cut your taxes by about $900. To calculate if you provided more than half of your parent or other family member’s support, you have to first determine his or her total cost of living, including the value of housing, utilities, food, and out-of-pocket medical expenses. 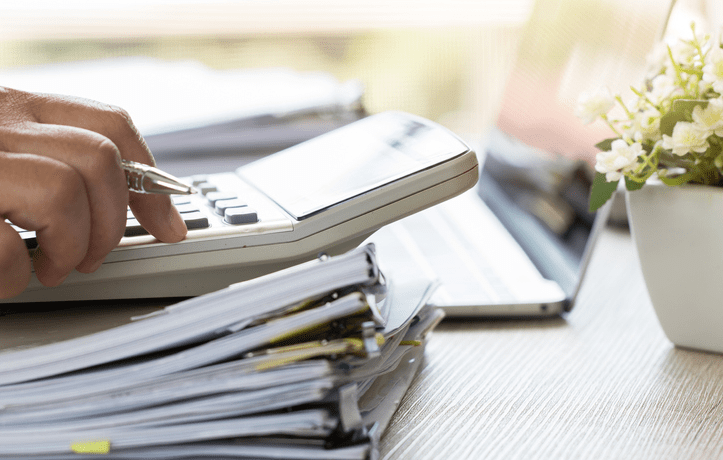 The Internal Revenue Service provides instructions and a worksheet to help you do this calculation in IRS Publication 501. Does your parent meet these criteria? If so, make sure to claim him or her as a dependent on Form 1040 /1040A. What if you and your siblings are sharing the responsibility of caring for an aging parent or other relative? In that case, the tax laws offer something called a Multiple Support Declaration, which allows one person to claim the tax exemption for a dependent family member even though more than one are sharing support obligations. Everyone who’s financially contributing to the aging family member’s support must sign a special Multiple Support Declaration form provided by the IRS. The person claiming the exemption submits the form with his or her tax return. You pay more than 10 percent of the dependent family member’s support. The amount paid by you and others together totals more than half the family member’s financial support. Each contributor could have claimed the exemption, except that each gave less than one-half of the total care costs. Each contributor who paid more than 10 percent of the support agrees that you can take the tax exemption on your return (which means that none of them can do so in the same tax year). In other words, what’s happening here is that you and your siblings share care and financial support of your parent or other family member, but you all agree that you — perhaps because of your role as primary caregiver — get to claim that person as a dependent and receive tax credit. Flexible spending accounts, or FSAs, are an employee benefit provided by many companies; talk to your HR department to find out if your company has one. If so, you estimate how much money you’re spending on your parent’s medical and other expenses — remembering to count eyeglasses, dental care, medications, and pharmacy supplies — and your employer pulls this amount out of your paycheck before taxes, so the money is tax-free. You’re then allowed to use the money in this account to reimburse yourself for those medical expenses. As a primary caregiver, you’d be amazed at what’s tax deductible if you read the fine print carefully. In many cases, not only are medical expenses for you and your dependents (including your parent) deductible, but also travel expenses to get to your or a dependent’s medical appointments (either as a per-mile driving charge plus parking and tolls, or as cab fare). According to the IRS, medical travel expenses are a deductible expense “when anyone accompanies an individual for medical care who is unable to travel alone.” You can also claim medical expenses for anyone you claim as a dependent who’s in a nursing home or retirement home. To qualify, your parent must be a legal resident and you must have provided more than half of their total support for the year. In other words, all requirements for dependency apply except for the income requirement. Standard rules for medical expense deductions apply as well, so depending on your age, you may only deduct the amount by which your medical expenses exceed 7.5% or 10% of your adjustable gross income. To find out more about these tax issues, consult a tax professional or go to the IRS website. 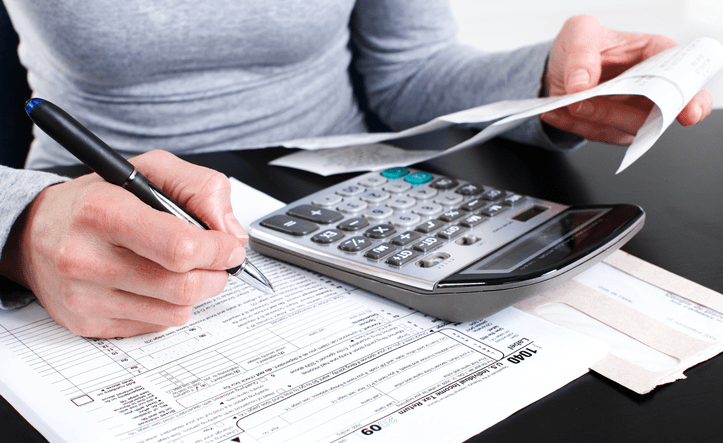 Itemized deductions should be listed on Schedule A of Form 1040. If you pay someone to care for your elderly parent, you may be able to claim the Dependent Care Credit on Form 1040/1040a, regardless of whether or not your parent qualifies as a dependent on your tax return. The tax credit is designed to offset costs of providing care incurred because you were working or looking for work, so you must have income or work-related expenses to qualify. In addition, you must be able to identify your care provider on Form 2441, including their name, address and social security number. Figuring out exactly what you can claim and how to claim it can be complicated stuff. It’s almost certainly worthwhile to get professional help with your taxes from a tax preparation company or CPA (certified public accountant) if you’re in a caregiver situation. You will probably save enough from the tax professional’s expertise to more than cover his or her fees. You may download these free publications from IRS.gov or order them by calling 800-TAX-FORM (800-829-3676).